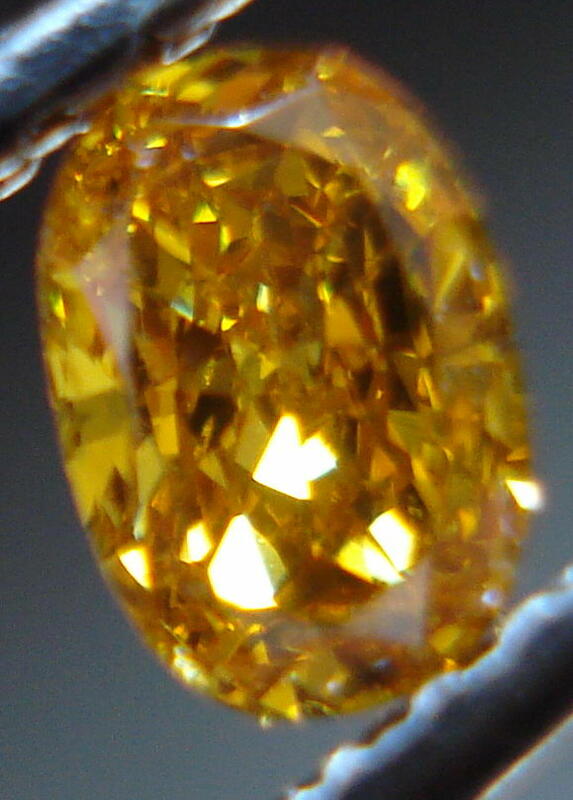 Actual photos and Videos of the Diamond we are offering. 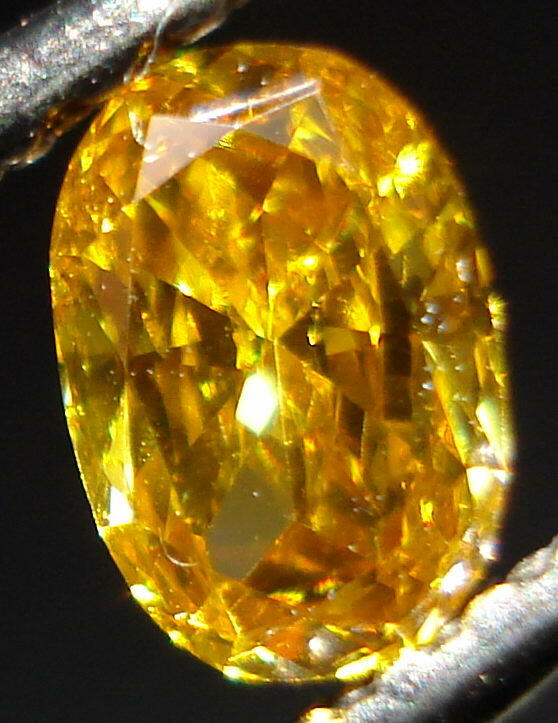 The video below shows the parcel containing this diamond. 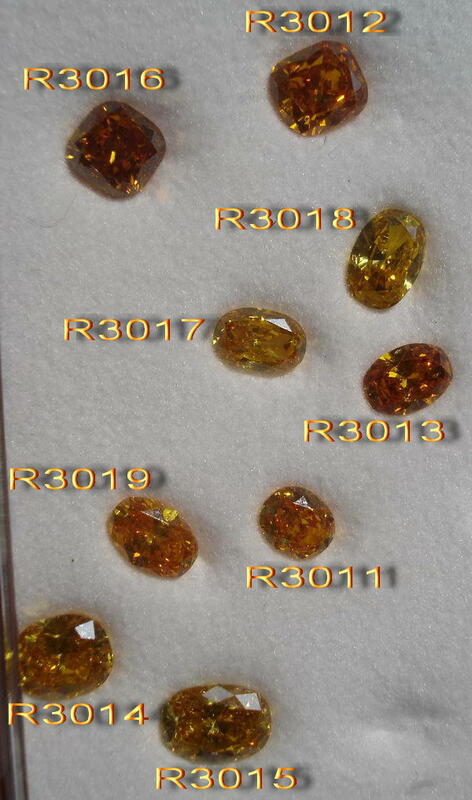 Below is a parcel of diamonds we purchased from the cutter. They are special, as a group as all are orange, to some degree. 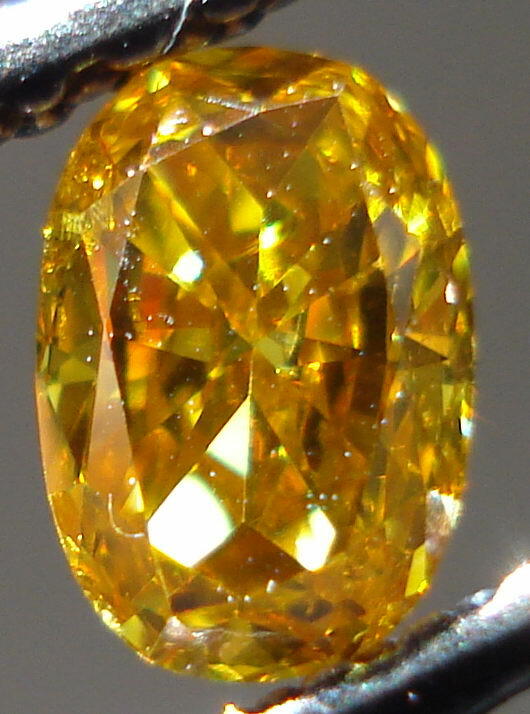 The color orange is pretty rare in diamonds. The level of intensity, combined with unique hue make this stone eye catching. The sparkle is amazing. Especially considering the depth of color. 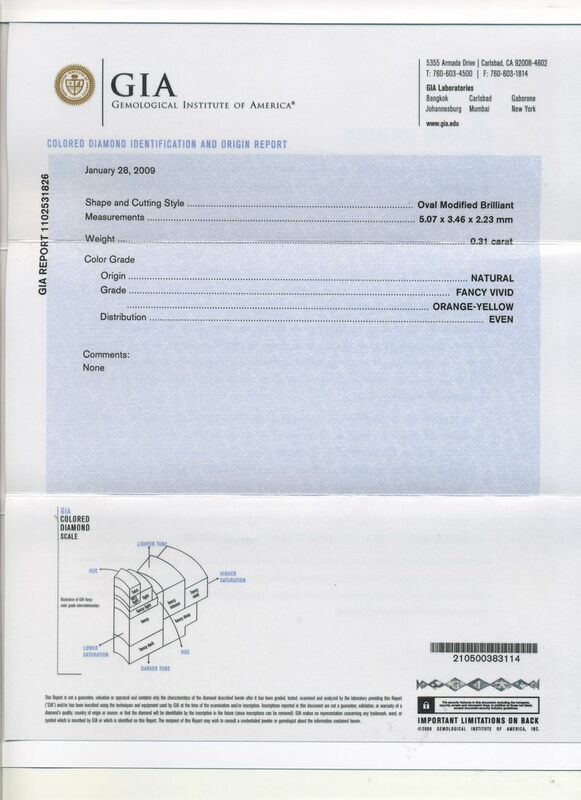 The GIA report is for color only- we graded the diamond SI2 clarity due to feather deep with in the diamond. 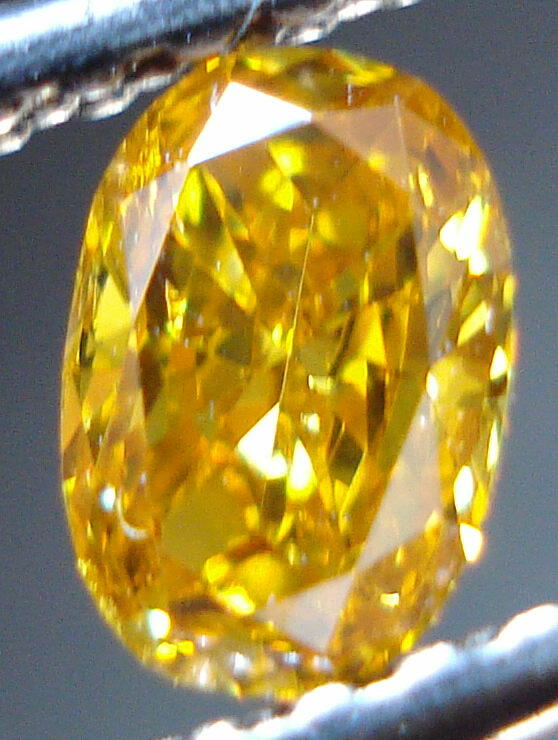 You'd have to look from behind, and tilt the diamond exactly the right way to see The diamond is totally eye clean from the top. As you can see in the photos- this color is quite complex and shows different hues in different lighting.